While June 26 at the BET Awards has been all about Prince, Jennifer Hudson's 2016 BET Awards "Purple Rain" tribute might have been the most soul-wrenching moment of them all. With the likes of Erykah Badu, The Roots, and Stevie Wonder taking stage, there was no shortage of emotions when it came to these stars' renditions of the late icon's hits. But when Hudson took the mic, it was impossible not to get goosebumps. Hudson's Prince tribute began with her coming onstage in an eerie mini dress that was an interesting mix between a tuxedo and a robe. Creamy white, the hood draped over her head and then flared down to a tuxedo jacket that looked to be missing its pants. And it so didn't need those pants. 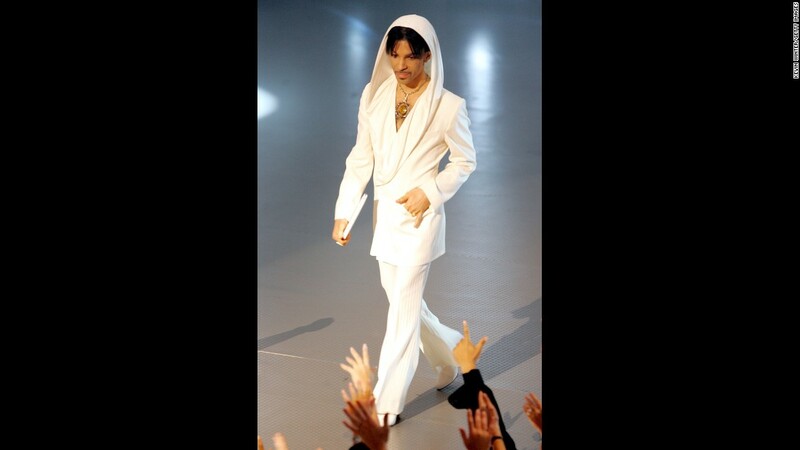 While the look hinted at one of Prince's own costumes, it offered more than just a nod to his fashion sense. She went on to sing a hair raising performance of "Purple Rain," the outfit taking on an angelic quality that really hit home what she was doing: Honoring a legend who is no longer with us. Singing one of his most iconic songs in a robe that seemed otherworldly and heavenly was a beautiful move, making the tribute all the more poignant. While it might appear like a bold silhouette for a dress, the outfit was just as much a part of the performance as Hudson's powerful voice. And it hit me in the feels much in the same way as the words that were belted. Especially when you take into account how she finished the song: By slowly walking off stage, like an angel disappearing with our legend and his words. Are you grabbing at tissues yet?